AVW Controls Ltd was probably best known for its award winning stage automation system; Impressario. This system has been used in many theatres and productions all over the world. Everything from the West End, opera and the National Theatre to world class venues, cruise ships and Disneyland. 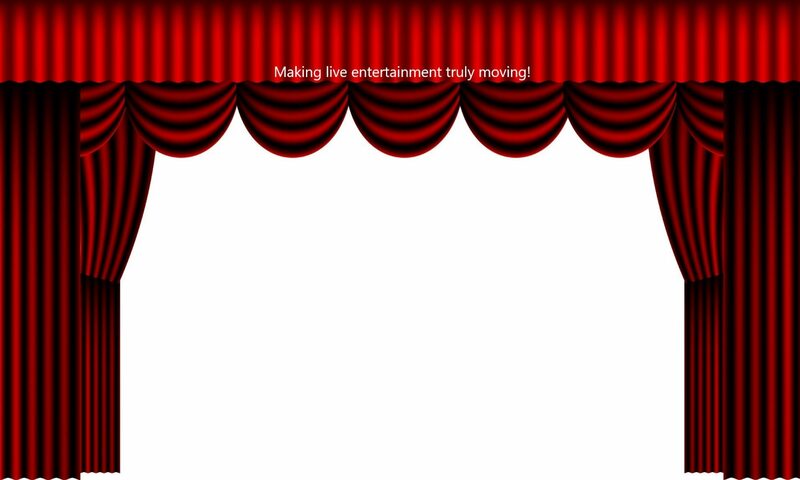 Impressario is now no longer manufactured for new stage automation systems but is still supported. Impressario has now been superseded by QAxis. Impressario provided the stage automation for 11 Olivier Award Winners and Runners up for Best Musical since 2003. Since its initial development in 1997, Impressario has become a recognised industry player, winning the prestigious award for Product of the Year in the Engineering category at the ABTT show in June 2002. Award winning automation for award winning shows! The main feature of Impressario is that advanced motion control is available through a very easy interface. Most users can grasp the basics in as little as ten minutes, yet are able to plot potentially stunning scenery changes. Other systems on the market require very expert users to perform even the most mundane of tasks and often put theatres in the untenable position of having to employ specially trained operators – of which there are too few. It has a generous 30000 cue capacity, advanced cue following facilities, group control and synchronisation of multiple motors, on the fly speed control of multiple motors, a virtual reality simulator and can control up to 255 fixed speed or variable speed motorised or hydraulic scenery pieces. 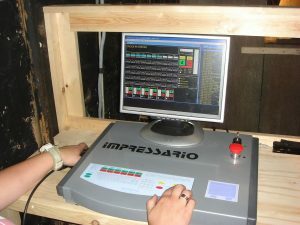 Impressario consists of a computer control console and purpose designed motion control modules. The computer console contains a proprietary single board PC loaded with the Impressario software, which records all the cue data that is transmitted to the IMP modules on a high-speed data network. The IMP modules carry out the necessary maths to calculate the motion profile required and are hardwired to the motor/hydraulic drive to achieve the desired motion.